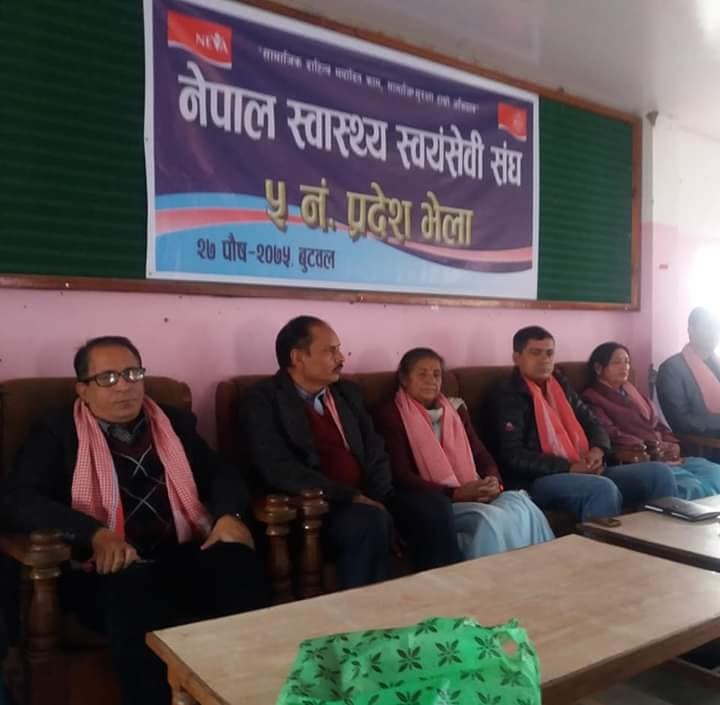 Kathmandu, GEFONT affiliate Nepal Health Volunteers Association (NEVA) has organized province level gathering in Province No 5 in Butawal . The Gathering has formed 17 Members NEVA Province No 5 Committee under the Cde. Sushila Darlami. In the program, Chief Guest GEFONT Vice President Cde. Kamal Gautam, GEFONT Secretary Cde. Damodar Sapkota NEVA Central Committee President Cde. Sharada Paudel, GEFONT province No 5 President Cde. Hari Karki has addressed the program.